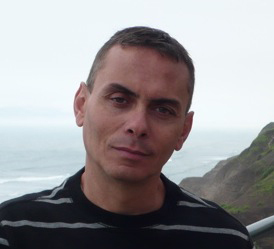 Rafael J Araújo is a senior research associate of the Division of Marine Biology and Fisheries of the University of Miami’s Rosenstiel School of Marine and Atmospheric Science (RSMAS). He has a degree in marine biology from Universidad Jorge Tadeo Lozano in Bogotá, Colombia, and a graduate degree in marine affairs and policy from the University of Miami. His specialty is mangrove ecosystem ecology and management. He has carried out research projects in Florida, throughout the Caribbean, the Middle East, Central America, and China. Since 1997 he has served as assistant editor of the scientific journal Bulletin of Marine Science published by RSMAS. He frequently lectures on topics ranging from mangrove ecology to writing for scientific articles and publications on behalf of NGOs and other governmental agencies trying to expand the participation of researchers from developing nations in scientific and technical journals and publications. He is a member of the Council of Science Editors and this is his second training course for UNESCO. Dré Cattrijsse is head of the research facilities department of the Flanders Marine Institute. He is coordinating the operations of the coastal research vessel Zeeleeuw and the related scientific equipment and land based facilities of the institute. With a background in estuarine and marine biology he relies on 10 years of research experience onboard various research vessels to put the institutes facilities at the disposal of Belgian marine scientists. In that capacity he keeps close contact with all marine disciplines, identifies needs and helps scientists in acquiring the right instruments and sampling tools to support their science, supports young and senior scientists in designing and planning their sampling at sea, takes part in field exercises and trainings for undergraduates and demonstrations/education for schoolchildren at sea. He is the scientific project leader for the new build regional RV Simon Stevin, an active member and former chair of the European Research Vessel Operators ERVO and is involved in initiatives that foster cooperation amongst European regional research vessels. US Environmental Protection Agency for 32 years. He previously taught regional planning and natural resources management at the University of Michigan, the University of California at Los Angeles (UCLA), and the State University of New York at Stony Brook. He was the Marine Vice-Chair of IUCN’s World Commission on Protected Areas from 2000-2005. In 2007 he received an award from the Intergovernmental Panel on Climate Change for his work on coastal adaptation and its contribution to the award of the Nobel Prize to the IPCC. He is the author of almost 100 publications, including a 2009 UNESCO guide to marine spatial planning. Atmospheric Science Library at the University of Miami. Previous to joining the University of Miami faculty, she was Geology/Geoscience Librarian at Columbia University in charge of the Geology library on the main campus and the Geoscience library at the Lamont Doherty Earth Observatory campus. Prior to her service at Columbia, she was a Senior Reference Librarian at the Linda Hall Library in Kansas City, Missouri, where she established a fee-based literature research program to serve the library's worldwide clientele in science and engineering. Her career began at the New York Public Libraries' Science Technology and Research Division (later the Science, Industry and Business Library) where she served as reference librarian and reference coordinator. marine libraries for the OceanTeacher Academy. Pamela Fletcher is a Florida Sea Grant liaison to the National Oceanic and Atmospheric Administration’s Atlantic Oceanographic and Meteorological Laboratory in Miami, Florida. She is currently involved in projects centered on translating and delivering NOAA research to managers and decision makers. Her efforts are focused on South Florida’s marine ecosystem and climate impacts to coastal and marine resources. Pamela taught “Science Communications Tools” during the November 2011 IODE OceanTeacher program. She holds bachelor’s degrees in Marine Affairs and Fisheries Science and Technology from the University of Rhode Island, a graduate degree in Environmental Management from Rensselaer Polytechnic Institute, and is currently pursuing her doctorate at the University of Florida. She has conducted research on lobster and shellfish populations in Long Island Sound and has supported coral reef research in Florida and throughout the Caribbean. She received a lecturing/research Fulbright Scholarship to develop and teach a marine research and education certificate program in Caribbean Nicaragua. She is an editor of “Tropical Connections,” a book about South Florida’s marine environment soon to be published. Nancy E. Kraft is the Head of Preservation at the University of Iowa Libraries where she is responsible for directing the preservation and conservation of the library collections. Nancy Kraft is a strong advocate for the preservation and proper management of Iowas cultural treasures. She is a leader in the Iowa Conservation and Preservation Consortium and is currently co-directing a statewide disaster preparedness and response plan for Iowas library and museum collections through the Consortium. Kraft spearheaded several ambitious projects including the conversion of over 3.9 million pages of newspapers onto microfilm through a federally funded program and implementation of the Iowa Heritage Digital Collections which has established on-line access to special collections across Iowa. In 2006 she received the University of Iowa President Award for State Outreach and Public Engagement for her many interrelated contributions to the preservation and accessibility of historical sources in Iowa. She received the Midwest Archives Conference 2009 Presidents for her extraordinary work following the historic levels of flooding that struck Iowa in the summer of 2008. In June 13, 2008 all University of Iowa employees were officially asked not to report back to work until at least June 23, more than one week after the floods crest. Instead of staying at home, however, Ms Kraft spent that time assisting museums, libraries and archives in her home town of Cedar Rapids, both in person and by cell phone. She worked late into the night each night during that time, even though she was under no obligation to do so. She continued performing this service for other repositories not her employer at various times on nights and weekends for the balance of the summer and into early fall. Kraft, a past President of the Iowa Library Association, is also active in the American Library Association where she served as Chair of the Preservation and Reformatting Section of the Library Collections Technical Services Division, 2005-2006. Kraft holds a Masters in Library Science from the University of Iowa and an undergraduate degree in Russian from the University of South Dakota. She is currently an Adjunct Faculty member of the School for Information and Library Science, University of Iowa, where she teaches Conservation and Preservation of Collection Materials. Roger Longhorn holds BSc and MSc degrees from M.I.T. (Ocean Engineering and Shipping Management) and has been involved in the ICT industry since 1976. He developed marine information systems globally (1976 to 1986), then worked as an expert in information services for the European Commission until 1999, and has remained involved in several EC R&D programmes since then. Roger assisted in developing the European Spatial Data Infrastructure (SDI) strategy (now called INSPIRE) since 1995 to the present. He authored a practical guide to spatial data legal issues (2002) and co-authored a book on value, pricing and consumption of geographic information (2008), plus chapters in books dealing with coastal/marine SDI (1999, 2003, 2005, 2009). He is vice-Chair Communications of the Global Spatial Data Infrastructure (GSDI) Association Outreach Committee and Information Policy Advisor to the Coastal and Marine Union - EUCC. At EUCC, Roger also leads the EUCC Information and Data Management Working Group, which is now participating in developing the data harmonisation and services interoperability specifications for several marine data themes covered by the EU SDI INSPIRE Directive. Roger also edits SDI Magazine (www.sdimag.com) and the GSDI Association GSDI & IGS Monthly Newsletter (www.gsdi.org). Roger lectures for the IOC IODE Ocean Teacher Academy mainly in the areas of information management, marine SDI and communications skills, as well as having developed the EU Funding Opportunities web site for IOC IODE. Caitlin Moore graduated from Albion College (Albion, Michigan) with a degree in Studio Art and Art History. She attended the University of Iowa Center for the Book (Iowa City, Iowa) and received a graduate degree in Book and Paper Conservation in 2008. Since then she has worked as a Collections Recovery Conservation Technician at the University of Iowa. She has held this position since the Midwest flooding of 2008. In 2009 she traveled to Arequipa, Peru with conservator Gary Frost to assist in the preservation of the library in the Recoleta Convent. In addition, she has responded to other local disasters including the flooding of the University of Iowa Art Library, and the flooding of the Colfax Historical Society in Colfax, Iowa. She has co taught several disaster recovery workshops and tutorials as well as speaking to classes and organizations about her experience in flood recovery. Caitlin has recently accepted a position at the National Archives in St. Louis which will begin in June 2011. Ms. Moore participated as an Instructor in the OceanTeacher Course Disaster Planning and Recovery organized by Intergovernmental Oceanographic Commission of UNESCO. Paul Nieuwenhuysen is a full-time member of the academic staff at the Vrije Universiteit Brussel, since 1983, nowadays as professor. These days his functions include: member of the management board of the University Library, science and technology librarian, as well as teaching courses on online information retrieval and presentation. At the University of Antwerp inter-university postgraduate 2-year program in Information and library science, he was guest professor responsible for courses on information technology and on the information market until the end of the program in 2009. At the University of Antwerp he received the degrees of Licentiaat in Physics in 1974, Doctor in Science in 1979, the Belgian post-doctoral degree (named Geaggregeerde voor het Hoger Onderwijs) in 1983, and the inter-university postgraduate degree in Documentation and library science in 1986. He has organized 14 international training courses on management of information in science and technology and has been project leader of a co-operation with the National Agricultural Library of Tanzania 1998-2008. He is author or co-author of more than 30 refereed publications in international scientific/technical journals, he is a member of several societies and of the editorial board of journals in the area of information science, and he has been a consultant for various international agencies. Linda Pikula holds a Master’s degree in Information Science from Simmons College, Boston, Massachusetts. She obtained a Master’s degree in Business Administration, and studied law at Western New England College in Massachusetts. She is a founding member of two earth sciences professional societies: the Atmospheric Science Libraries International and the Southern Aquatic Information Libraries, now part of the International Association of Marine and Aquatic Information. Ms. Pikula is a former academic Library Director and Associate Professor in Massachusetts and California, and former National Oceanic and Atmospheric Administration, Central Library Chief of Public Services and Branch Libraries. She is currently the NOAA Southern Regional Librarian for the NOAA Central Library located at the Atlantic Oceanographic and Meteorological Laboratory and the National Hurricane Center. She has been awarded the NOAA Bronze and Silver medals for meritorious federal service and was an elected representative to the U.S. Federal Library Information Center Committee of the Library of Congress. She has been an invited member on numerous international and federal national committees concerned with information management. Ms. Pikula is an elected Officer of IODE as Chair of the IOC, IODE’s Group of Experts on Marine Information Management. Linda is lead Marine Information Editor for OceanTeacher Global Academy, a capacity building program of IODE to teach the principles of data and information management and to promote the development of international standards for oceanographic data management and information exchange. She has coordinated and lectured over 20 courses for OceanTeacher. Her current activities and interests include MOOC’s, distance education, BIG Data and linked data. Bob Keeley has more than 30 years experience in ocean data management working for the Canadian Oceanographic Data Centre, the Marine Environmental Data Service. There, he chaired a national committee responsible for coordinating ocean data management activities for the Department of Fisheries and Oceans. He has been chair of the Global Temperature and Salinity Profile Project, a co-chair of the Argo Data Management Team, and of the Global Ocean Surface Underway Data project. For 10 years he was a member of the Ocean Observation Panel on Climate. He chaired the JCOMM Data Management Programme Area for 4 years and is currently an External Advisor to the SeaDataNet-2 European Union project. He has authored a number of papers including contributing to a number of the IODE Manuals and Guides. Lisa Raymond is the Associate Library Director at the MBLWHOI Library. She is responsible for administration of the WHOI side of the MBLWHOI Library and manages staff and daily operations for the Data Library and Archives (DLA) at the Woods Hole Oceanographic Institution (WHOI). The DLA houses an extensive collection of material ranging from early paper collections to current digital formats from WHOI research vessels and underwater vehicles. Lisa’s research activities focus on data publication and curation, accessibility, and long term preservation of legacy data. Lisa has been associated with the Library for over 20 years. Reiner Schlitzer obtained a Diploma in Physics and a PhD in Environmental Physics at the University of Heidelberg. After a post-doctoral position at the Massachusetts Institute of Technology from 1986 to 1987 he became Assistant Professor at the University of Bremen. He habilitated in 1993 at the University of Bremen and then took a position as senior scientist at the Alfred Wegener Institute for Polar and Marine Research in Bremerhaven. In 2003 he became Professor for Environmental Physics at the University Bremen. For more than two decades he has been studying the biogeochemical cycles of oxygen, nutrients, carbon and various steady-state as well as transient tracers in the ocean. He began his scientific career as an observationalist, producing the first detailed radiocarbon section in the East Atlantic. Since then he focussed on numerical modeling and developed inverse models that exploit available multi-tracer observations for the quantification of marine production, carbon uptake and transport, as well as fluxes and remineralization of particles. He is the developer of the Ocean Data View software for the interactive analysis and visualization of marine and other environmental data and the creator of the electronic atlas of WOCE data eWOCE. He is teaching courses on statistics, data analysis and inverse methods at the University of Bremen. Anthony D. Smith is a Senior Program Officer for the National Leadership Grant program, at the Institute of Museum and Library Services. He previously served as the Director of Digital Initiatives and Services at the University of Miami and the Coordinator for the University of Tennessee's Digital Library Center. Mr. Smith has published articles on web usability, institutional repositories and has also written on the technology infrastructure in Uganda to support teaching and learning. Other activities include a very dynamic role with the School of Information Science to help educate graduate students on the many contemporary issues in building digital libraries. Mr. Smith has been actively involved in international technology instruction. in 2004, he traveled to Uganda to assist Makerere University in the development of digitization services and digital collections. Since 2009, Mr. Smith has served as a lecturer for the OceanTeacher Academy, teaching courses in digital asset management and digital preservation. Mr. Smith holds an A.S. in biochemistry, a B.A. in anthropology, and an M.S. in information science.